Eternal life may soon be programmed through social media. 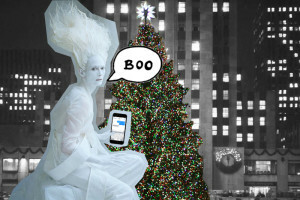 The use of algorithms and artificial intelligence is expected to allow communication between the living and the dead. Researchers from the University of Melbourne have dubbed this idea “social immortality after biological death”. To realistically make ‘communication’ with the deceased possible, a variety of software will be required. Algorithms would be needed to analyse the entire social media history of a person as well as their language style. Emails, tweets, Google searches and Facebook and Instagram likes would be studied to determine that person’s interests, personality, habits and how they express themselves online. This is not a huge step away from what algorithms already track today, often for research or marketing purposes. 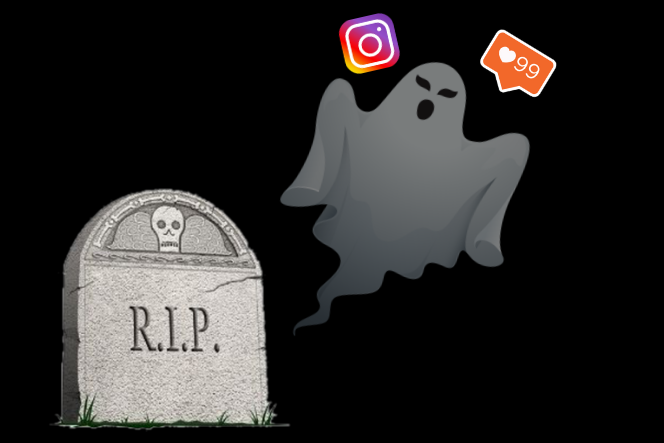 The software would need to break down and interpret personal and public messages on social media and email accounts and respond to them appropriately and in a way which mimics the attitude and habits of the deceased. Whilst the above technology is not far from development, further visions for social immortality exist. These include a more sophisticated presence from the ‘user’, such as an authentic voice reproduction, virtual reality or a hologram of their body. It’s important to realise that this software will not actually make us eternal; rather a bot will be trained to mimic our online behaviours. The Netflix series Black Mirror, which often portrays satirical warnings about the dystopian modern world, aired an episode which cleverly illustrates this idea of artificial life after death via social media. Be Right Back tells the story of a devastated widow who enlists a corporation to create a replica of her deceased partner. The replica is created from the deceased’s social media output, emails and other internet accounts. It begins as a mere voice recording via telephone and evolves to a synthetic flesh model. It goes on to raise questions of ethics and challenge both the definition of life and the role of media in our lives. Several more basic technologies already exist to give the dead a voice. A service called Email From Death allows you to prepare an email which will be sent out to loved ones after you die. It sends out prompts to make sure you’re still alive – which is fairly morbid – and once several prompts are ignored, the software assumes you have passed on and the messages are released. We can already communicate with non-human software. 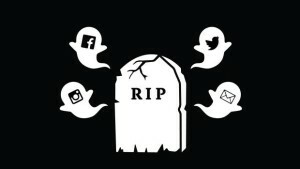 If social personas of the dead are given the ability to communicate with the biologically living, and thus become eternal under some definitions of life, questions of what it means to live and what it means to be human are likely to rise, as well as how much of life (and death) is a penetrable by the digital realm.